Villa Aynur offers wonderful open Mediterranean Sea views over the Greek Island of Meis, with a private pool and modern furnishing. 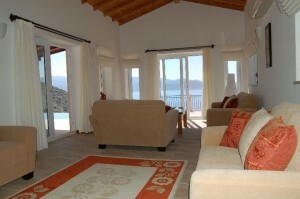 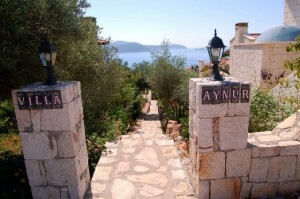 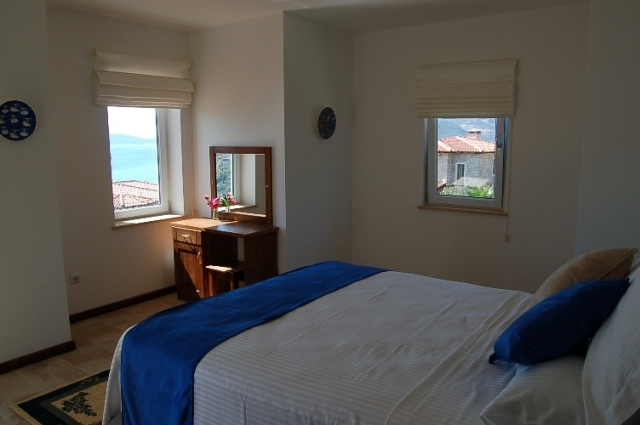 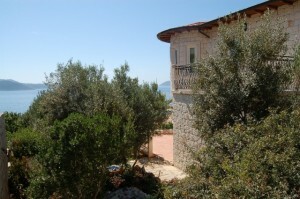 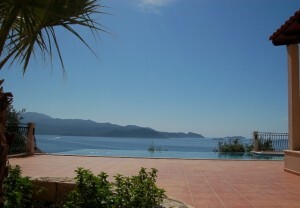 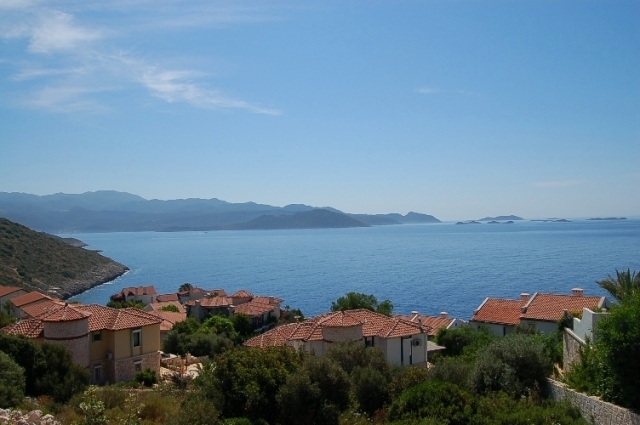 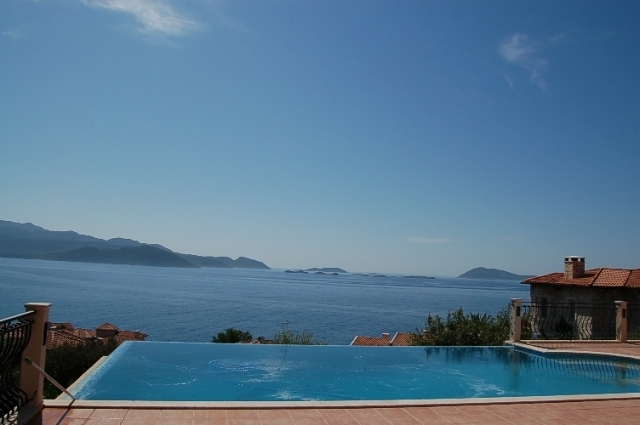 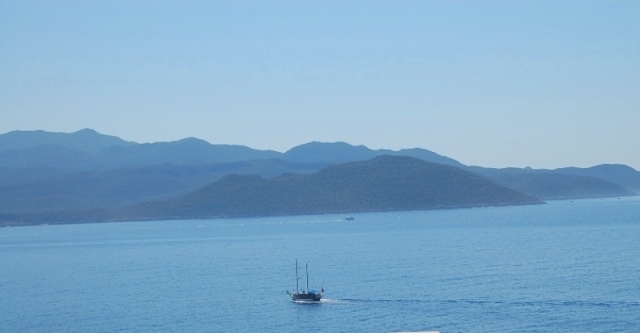 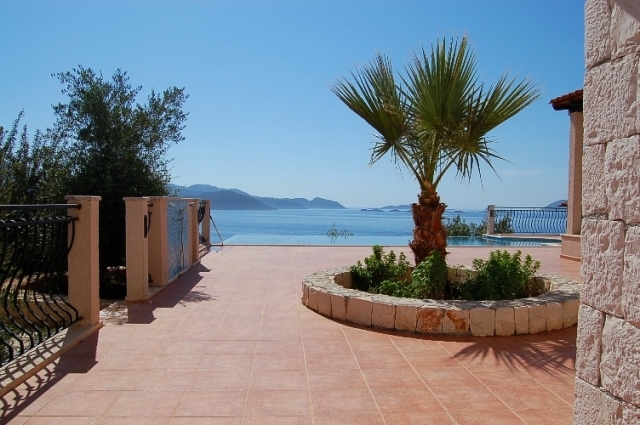 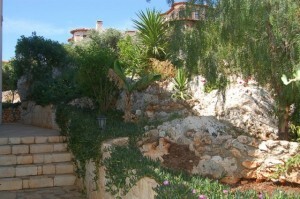 Villa Aynur offers wonderful open Mediterranean Sea views over the Greek Island of Meis. 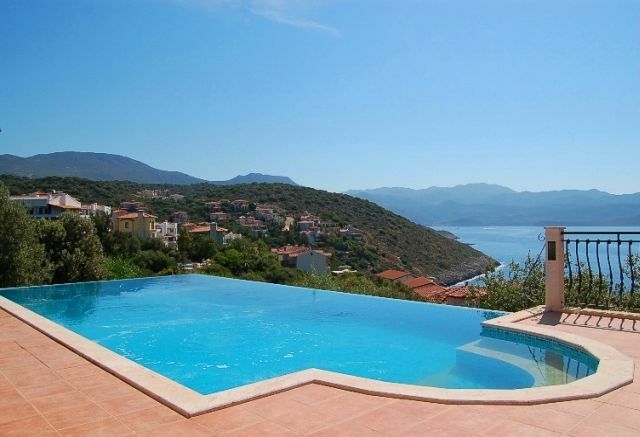 With its own large private infinity edge pool, this brand new beautifully presented well equipped spacious villa, that is very well furnished in a contemporary style, is just a 100 meters from the sea, with nearby swimming platforms and just short drive to the up-market resort of Kas with many excellent restaurants, bars, boutiques and 2 marinas. 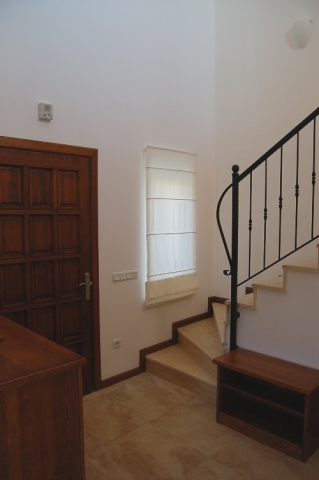 Villa Scarlett & Villa Aynur are linked via garden steps and if booked together can accommodate large parties of up to 12 guests & 2 small children. 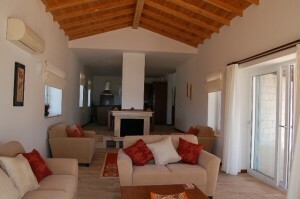 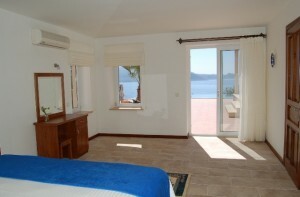 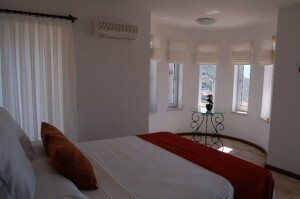 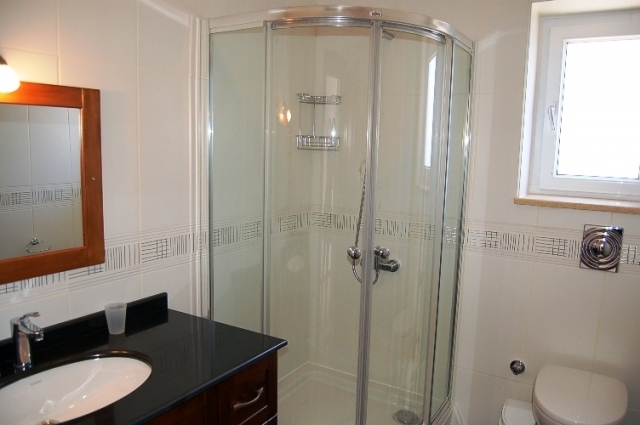 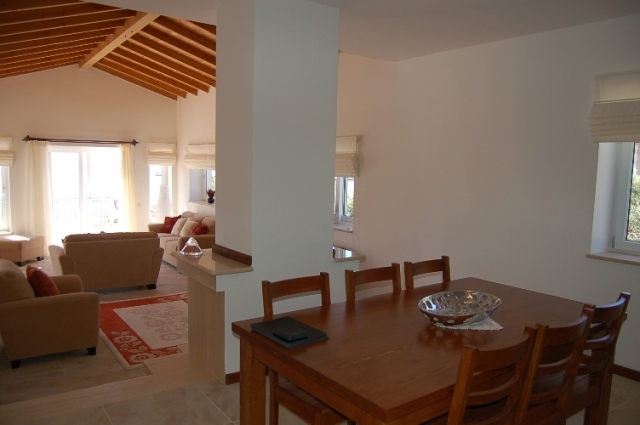 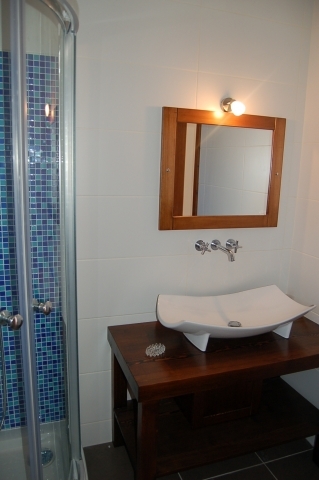 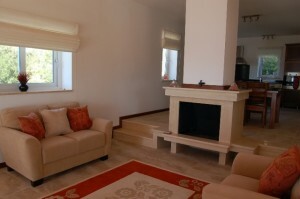 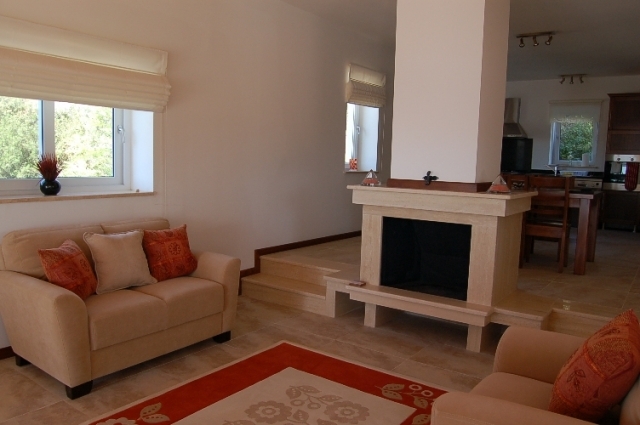 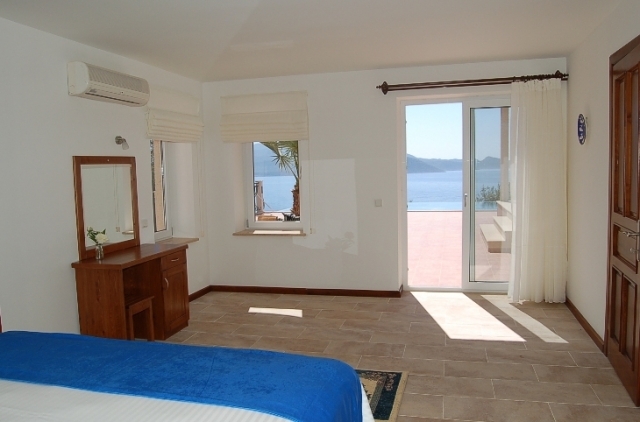 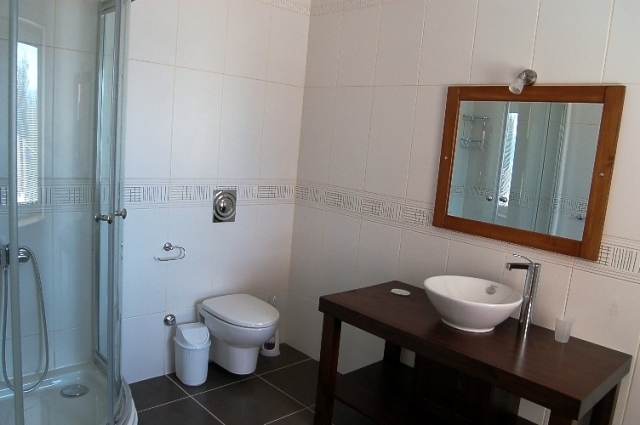 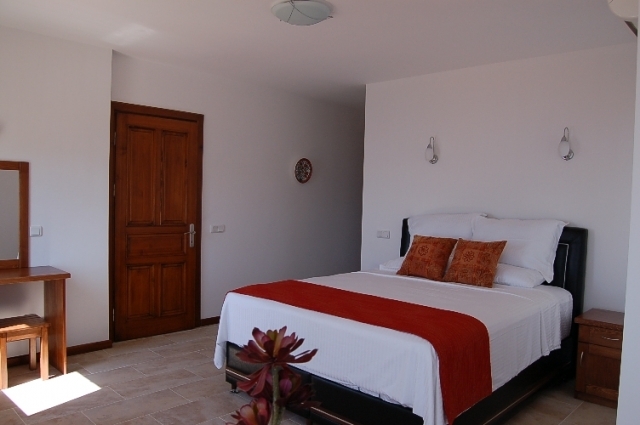 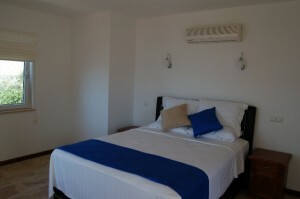 2 double bedrooms on the upper floor with en suite bathrooms, large double beds, air-conditioning & sea view balconies. The spacious open plan, vaulted ceiling living room which is furnished in a contemporary style, is fully air-conditioned with double aspect patio doors opening directly onto the pool terrace. 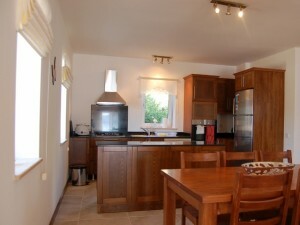 Fully equipped contemporary kitchen dining room, with gas hob, electric oven, dishwasher and large frost free fridge freezer. 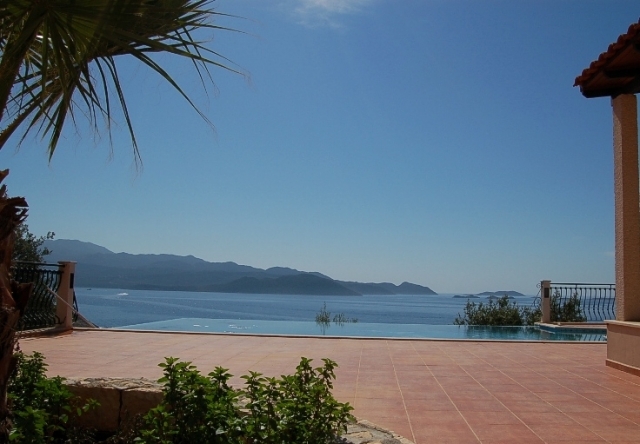 Spacious sea view terrace with large infinity pool with sole use of guests staying at the villa equipped with large marble top dining table and chairs for alfresco dining, sun beds and parasols, and poolside shower. Parking space on the road. 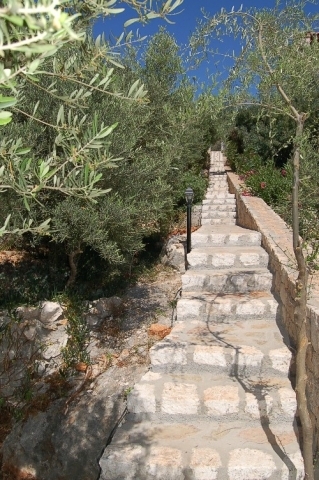 Long flight of steps leading down to the villa from the road.